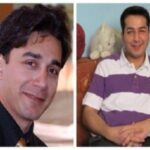 HRANA News Agency – Farshid Fathi, the Christian prisoner and Arash Moghadam Aslanpoor, political prisoners are released from Rajari Shahr prison. 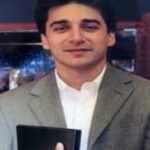 HRANA News Agency – Farshid Fathi, a Christian pastor will be released from prison, two years earlier than the previous deadline. With application of the integration and Article 134 offenses he will be released in December this year. 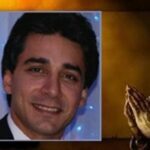 HRANA News Agency – Pastor Farshid Fathi, prisoner of conscience, has been transferred to the political prisoners’ ward in Rajai Shahr Prison. HRANA News Agency – Prison authorities have not accepted the request of Farshid Fathi, political prisoner, regarding his transfer to hall number 12 of Rajaei Shahr prison. HRANA News Agency – The one-year-imprisonment sentences of Farshid Fathi and Arash Moghadam, who were charged following the raid to ward number 350, known as Black Thursday, were confirmed by the appeal court. 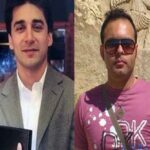 HRANA News Agency – Farshid Fathi and Alireza Seyedian, two Christian prisoners were transferred to Hall 2 in Rajai Shahr prison. HRANA News Agency – The clergy of ward number 10 of Rajaei Shahr prison, who had asked for seizure of Christians’ religious books, following the refusal of prisoners has sued priest Fathi. HRANA News Agency – Arash Moghadam Aslanpoor and Farshid Fathi, who have been sentenced each to one year in prison, following the events of April 17, 2014 in Evin prison (Black Thursday), are waiting for appeal court. HRANA News Agency – Ebrahim Firoozi, Christian convert, who has been imprisoned since 17 months ago, is still waiting for the judge Moghiseh’s decision, although his sentence ended on 13th January. 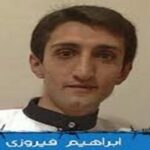 HRANA News Agency – Farshid Fathi, Chritian prisoner has been transferred to the section of dangerous prisoners at Rajai Shahr Prison.